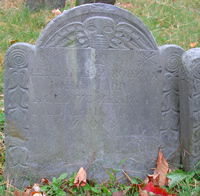 Family REBECCA WOOD, b. Abt 1625, of Woburn, Middlesex Co., Mass. 2. JOHN TIDD, b. 26 Feb 1655, Woburn, Middlesex Co., Mass. He was from Yarmouth, in the Isle of Wight.